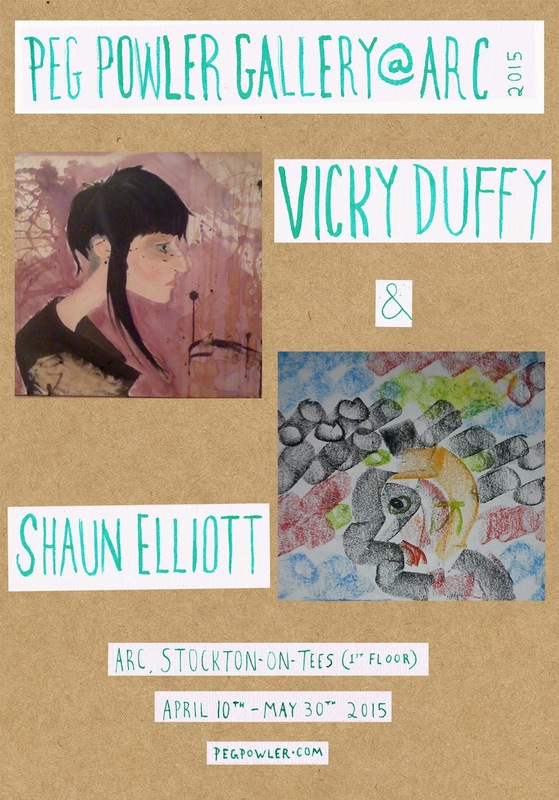 Peg Powler Gallery present an exhibition of new art by Vicky Duffy & Shaun Elliott! Vicky Duffy is an artist, illustrator, and ex-baker from Eston. Shaun Elliott is a painter, musician, writer and cat minder from Middlesbrough. This exhibition tag-teams new work from these two creative minds. We at Peg Powler have exhibited work by both Vicky & Shaun from our early days and they both have many of the qualities we love - individual, quirky, expressionistic, creating art in their own time, in their own way. They also have both had a lot of interesting haircuts. Celebrating the launch of the new exhibition and FIVE YEARS of Peg Powler Gallery, we will be hosting a typically odd little party from about 6pm. * A live creative hair-cutting experience - Vicky, the creator of 'crude senseless imagery' will give AJ a crude senseless haircut.